Many are relieved that the whole ‘Dec 21st’ hype is over, as it became something outside of itself, and in many cases lost its meaning and integrity. 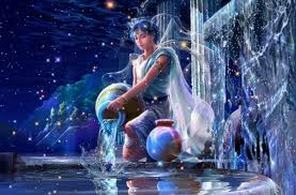 But life goes on and now we enter the significant threshold known as the Age of Aquarius. On 21st December 2012 we not only had the solstice (winter or summer depending on which hemisphere you are in) and the galactical alignment happening, but it also hallmarked the astrological transformation into the Age of Aqaurius. This heralds a time of grande awakening and rebirth. I’m feeling it as representing the re-rising of Atlantis so to speak, hence the term: The Golden Age. Now as I have said before this doesn’t mean that it will all happen in a millisecond. You may have been noticing something, you may not have. This is a journey and we are all on the ride one way or another. You will feel what is right for you. In a nutshell, we are shifting away from old, fear-based tendencies. We are ready to break free from its unnatural confines. We feel it in our bones. It is all about waking up to new ways of being and creating new realities for ourselves and our world. We can already start to do this. We will see tendencies towards love, peace, simplicity, truth and abundance rather than fear, war, greediness and lack. We are entering our HEARTS rather than our egos and we are recognising that more that ever! So there is a lovely opening up of our heart chakras. The Age of Aquarius also heralds a time of greater compassion, brotherhood/sisterhood/unity, scientific invention and discovery and intellectual as well as spiritual evolution. This is the dawning of the Age of Aquarius, Age of Aquarius, Aquarius! Aquarius! Golden living dreams of visions. How apt! They couldn’t have worded it better. What an encapsulation of the times we are now in!! Not to mention how it highlights our collective consciousness accepting astrology as a source of wisdom and guidance more than ever. We are both seeking and seeing beyond the veils and illusions. It is a time of (inter)connectedness rather than separation. 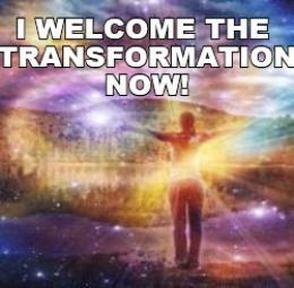 We are awakening to the fact that a new era is upon us, and that we have the ability to co-create the future we desire for ourselves and the planet. I will be speaking more in future editions of my newsletter (click here to subscribe) about how we each have the power to step into a new reality that is here for us and create on a fresh canvas. But know for now that earth’s frequencies are rising and lifting us up to a higher vibration. We can choose which reality we wish to live in: an old 3d reality, or a new 5d existance.